how bad is the battery life?? i was hoping this phone can work on USA tmobile 3G but it seems is missing the 1700Mhz band. so im planing to use my current SE X10 as hotspot. so i'll be doing everything over wifi, including VoIP, whatsapp, google voice, facebook, google music, etc. how long can the battery last if wifi is on at all times even screen off?? I have it and my wife has the HTC incredible s.
I must say that the UI at the xperia is much better not to mention the display quality. I don't mind about 2 or 4 cores. There are no lags whatsoever. The only flaw is the battery life so I look for some external battery solution. This is a top notch phone, very well finished. Right now I have an SE Satio. for now i'm keeping my Satio, and maybe next year i'll buy one. 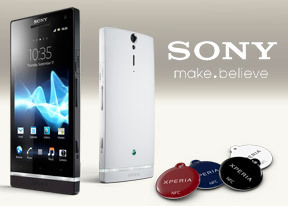 Too bad that it doesn't have xenon like Satio, did GsmArena make a test of the Xperia S baterry ? Can wait to see it released in Romania and test it live in my hands. JPS, 05 Apr 2012Hey GSMA.....pls correct your review at TELEPHONY page ...this phone has smart dialing feature... moreIt does have a smart dail. great phone by the way. Hey GSMA.....pls correct your review at TELEPHONY page ...this phone has smart dialing feature or not??? Don't confuse the buyers who have been dropping SE smart phones due to lack of this smart feature. Also include in your review if front camera actually cam.use for video call and chats etc..
tastin, 04 Apr 2012scrach resist is poor, got scratch on 1st day! Sony Xperia S comes with pre-installed screen protector, just look on top of the screen, you'll see the line of screen protector. scrach resist is poor, got scratch on 1st day! Out of the option of the 4S, the Galaxy S2 and this, I'm ordering the Xperia S =D cannot wait, and it saves me having to replace my old camera as well! Thank you for such an in depth review! All 3 excellent phones to choose from! Just a little info: Different retailers are distributing different box bundles; some have tags, others have Micro-HDMi cables included. Anything on the battery life yet? 1750 mAh does sound a bit meager for a phone with these specs.